Huawei P30 is expected to be launched early next year. However, the device has so far been leked in many render images and leaks. Its new transparent porotective case was also leaked recently, revealing the device to come with triple rear camera setup. Today we got a new render image of the upcoming Huawei P30 device showing its triple rear camera setup. The image sahred by a Twitter users Shai Mizrachi on his profile. 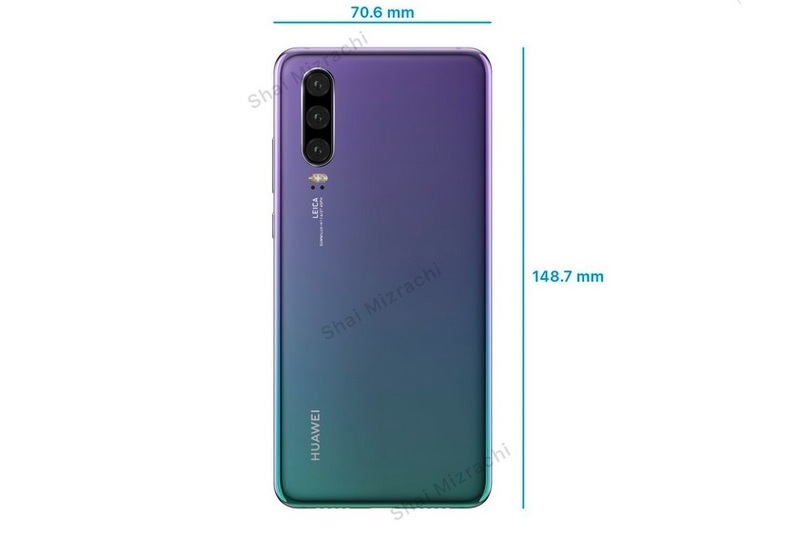 He also shared claiming from his own source that the Huawei P30 will have a body dimentions of 70.66mm and 148.7mm, which is almost similar to the Huawei P20 devic. However, Shai didn’t shared any other details about the device. Huawei is expected to launch the device somewhere in January or February, however, we can’t confirm that as of now.